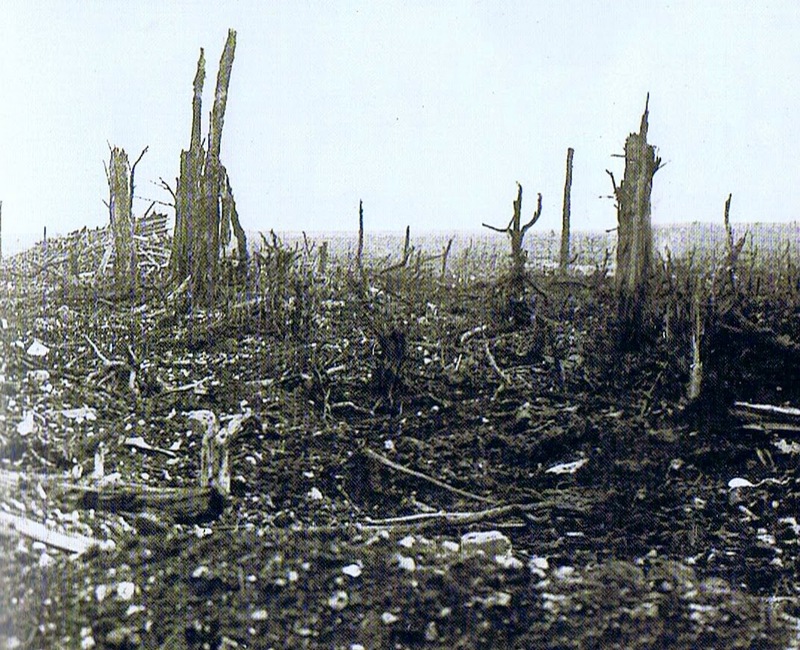 During the Great War, a frightening legend regarding this 'no man's land' arose out of the real-life horrors that were taking place during this bloody conflict. Like all legends, it has several variants, but at the heart of each of them were sightings, stories and encounters with ghostly scar-faced and fearless deserters banding together from nearly all sides—Australian, Austrian, British, Canadian, French, German, and Italian, living deep beneath the abandoned trenches and dugouts of no man's land. According to some versions, the deserters scavenged corpses for clothing, food and weapons. And in at least one version, the deserters emerged nightly as ghoulish beasts, to gorge upon the dead and dying, waging savage battles over the decomposing food source. Historian Paul Fussell called the tale the “finest legend of the war, the most brilliant in literary invention and execution as well as the richest in symbolic suggestion” in his prize-winning 1975 book. Fussell, a professor of English at the University of Pennsylvania who had served as a lieutenant during World War II, knew well the horrors of combat, which he vividly described in his 1989 Wartime. The legend seems to have also taken root in modern journalistic accounts. James Carroll in the International Herald Tribune noted in 2006 how World War I deserters refusing to fight “had organized themselves into a kind of third force—not fighters any more, but mere survivors, at home in the caverns. Dozens of them, perhaps hundreds. Human beings caring for one another, no matter what uniform they were wearing.” According to Carroll’s interpretation, these deserters were like angels, taking care of those who had fallen into the safety of the underground caverns—acting as a sane alternative to the insanity of war. The 'wild deserters' of no man’s land, whether angels or devils—or even flesh-eating ghosts who emerge only at night—is the stuff of a legend tremendously rich in illustrative value. It reminds us today, a century after it began, of the lunacy, chaos and meaninglessness of all the horrors of war.